I am new to this site but I was completely infatuated with all the puppies and the stories. After a few minutes of browsing, I thought immediately of how I had to share my puppy story! Before I found my GSD I looked everywhere for a dog. I wanted to adopt, but most of the dogs at the shelters these days are pit bulls (or part pit). As a renter I am restricted as to what breeds I can own and bring into the house. This made my search for a companion pretty hard! 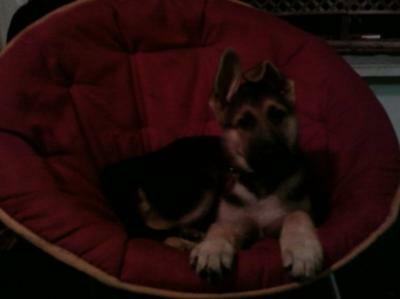 I finally decided that I had to have a German Shepherd. As I began my search looking for breeders, I began to notice the prices and began to think that this breed might be to expensive for me. Fortunetly I found a German Shepherd rescue center and decided to fill out an application and wait until they found me the perfect pup. Time came and went and I had not heard back from the GSD rescue center (it seemed they were adopting out GSDs to everyone BUT me). I was beginning to think I would never get a chance to own a GSD. 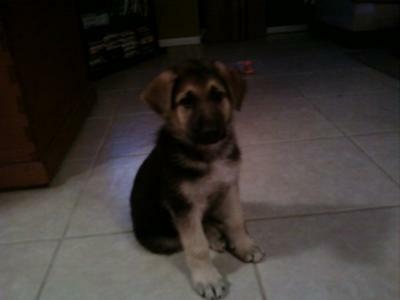 One morning while browsing the local paper I found a little ad for 2 female sable GSD pups that were really reasonably priced (Even though I preferred a darker male). family farm. I was so excited to meet these two little girls and the idea of bringing one home was even more exciting! As I opened the front door I was greeted by a friendly couple (the breeders). Seconds later the pitter patter of little paws came stampeding around the corner. There was not only two puppies, but there were three! All 3 were so ADORABLE !!! The 3rd puppy ironically ended up being an almost all black male! 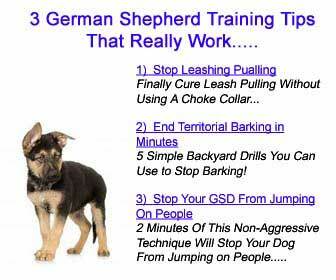 I was confused and asked why they had not told me about the 3rd puppy earlier. They said it was because someone had already reserved him, but the people that reserved him never came back to get him. I have had Romeo now for about 7 months, and he has been one of the biggest joys of my life. He teaches me something new everyday and I enjoy our adventures together. He truly is my best friend! Here are some pictures of Romeo from the first time he was brought home to a current picture of him now at 7 months. Thanks and God Bless GSDs! 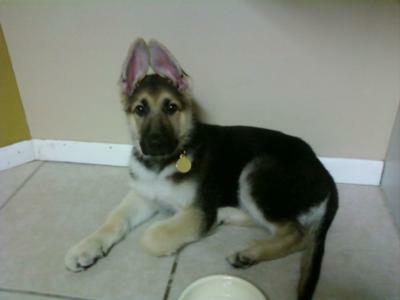 Comments for My German Shepherd Puppy, Romeo O' Romeo! your story is almost like mine.they had 5 females and 2 males. the first male was taken, and i perfur males cuz their more loveable if u ask me.we pounced on the last remaining male quicker than a snke bite and he's the best friend i've ever had!! What a great story. 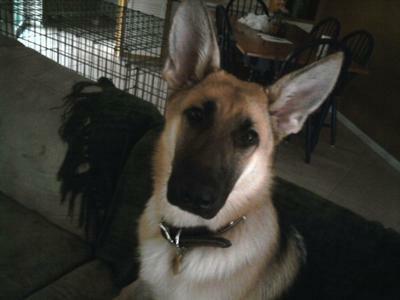 You made an excellent choice in the GSD they provide unconditional love and devotion and loyalty. Thank you for sharing this story and I am including my email address if you would like to keep me informed on his antics. There will be many rest assured. I have two GSDs now and have had them all of my life. Love the breed so much. Have had great mixed breed dogs that were great too but my heart has a special place for the GSD.